Please nominate students and faculty or staff that you believe are deserving of recognition! Click on the "Awards" tab for more information! Applicants will be scored by members of the Public Relations Committee. eSAB is made up of undergraduate students, freshmen to seniors, representing every department in the College of Engineering. Members are either representatives from student organizations, or from the college at large. Meetings are open to the general public and anyone in the college is welcome to come and have their voice heard. Drop in to see what's going on in the College of Engineering! 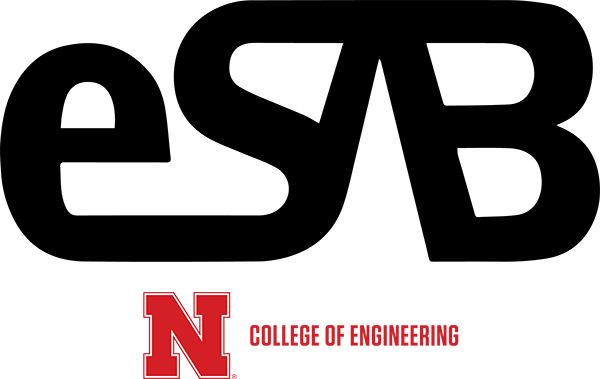 The students of the College of Engineering at the University of Nebraska-Lincoln, do hereby ordain and establish this undergraduate Student Advisory Board for the betterment of the college, both through academic excellence and the creation of an enriched extracurricular environment.